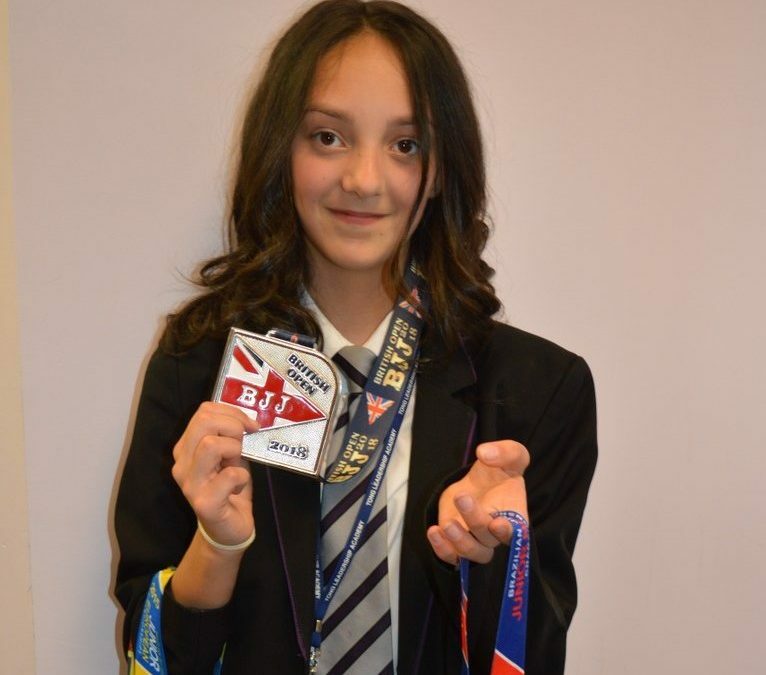 One fearless Tong Leadership Academy pupil wasn’t afraid to step up to compete against the UK’s toughest young athletes, coming away with a silver medal at the British Open Jiu Jitsu Championships earlier this month. Having only competed for the first time in 2015, Caitlin demonstrated her combat skills and technique in Coventry on Saturday 12 May, resulting in a performance worthy of high acclaim on the national stage. Currently training at Gracie Barra Bradford, a Brazilian Jiu Jitsu club, Caitlin has gone from strength to strength in her field, after beginning her training at the age of nine. 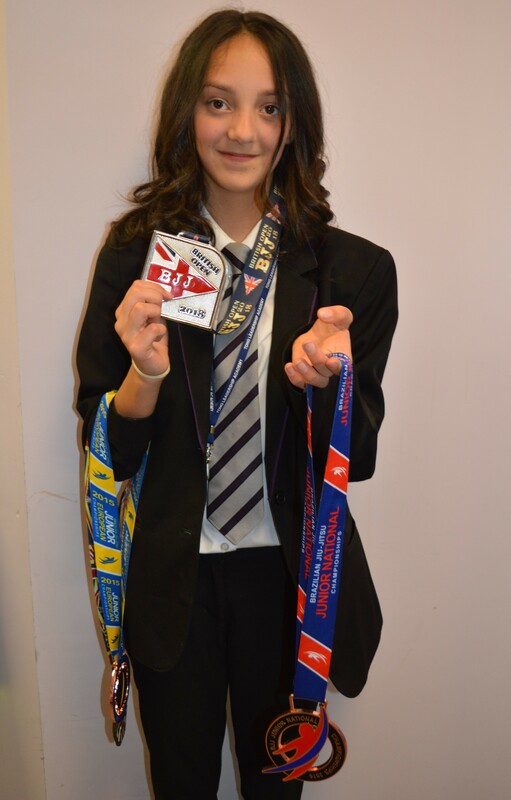 With the British silver medal already belonging to Caitlin, there is no time for rest just yet for the Year 8 pupil. Caitlin now looks forward to July where she will compete at the World Championships in Wolverhampton, grappling with the world’s best having learnt from her competitive experience this month. Ambition, one of the school’s STAR values, is clearly at the forefront of pupils’ minds. Caitlin hopes to be the latest in a line of high achieving Tong athletes, as pupils recently became aware of the incredible achievements of alumni Fabian Delph as he won the Premier League with Manchester City, and has also been called up to represent England at the FIFA World Cup. Driven by high aspirations, there is no stopping Tong pupils at present!